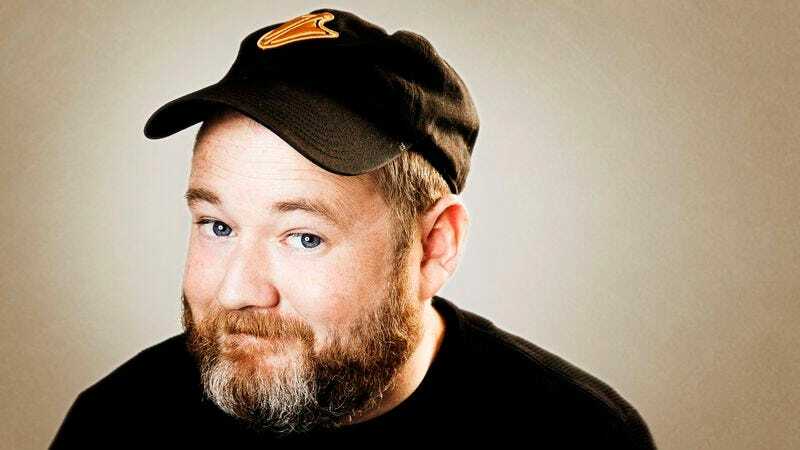 A veteran of the Late Show With David Letterman and Last Comic Standing, Sean Donnelly is no newcomer to stand-up. He’s popped up in everything from Broad City to Inside Amy Schumer, and he’s the co-ost of the podcast My Dumb Friends with Dan St. Germain. His latest project is Manual Labor Face, his new album out this Friday, November 13. Below, The A.V. Club is streaming “Trying To Get Healthy,” a record cut with a fairly self-explanatory title. An almost three-minute rant about trying to avoid bread, the evils of kale, and the act of buying decoy cookies, “Trying To Get Healthy” is Donnelly at his funniest and most relatable. For those interested in not just hearing Donnelly but also actually seeing him, the comedian’s Comedy Central Half Hour premieres this Saturday, Nov. 14.